‘Body Snatcher’ determined to punch his ticket to the top table. Dillian Whyte says nothing is going to stop him mounting another title challenge ahead of his fight withAustralian Lucas Browne. Photo Credit: Chris Dean. 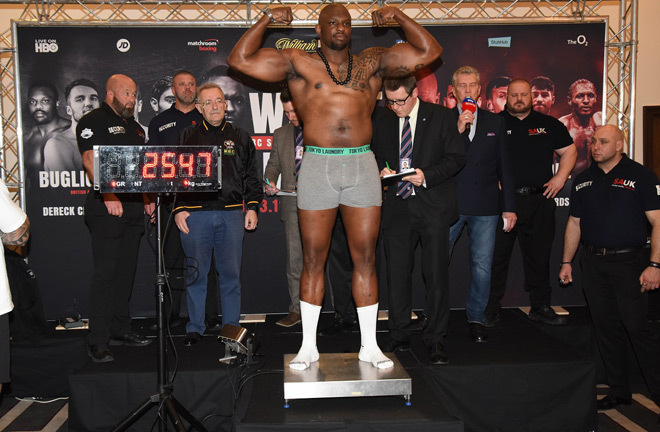 Dillian Whyte weighing in at 254.7 lbs ahead of his crunch match against Australian Lucas Browne. Photo Credit: Chris Dean. 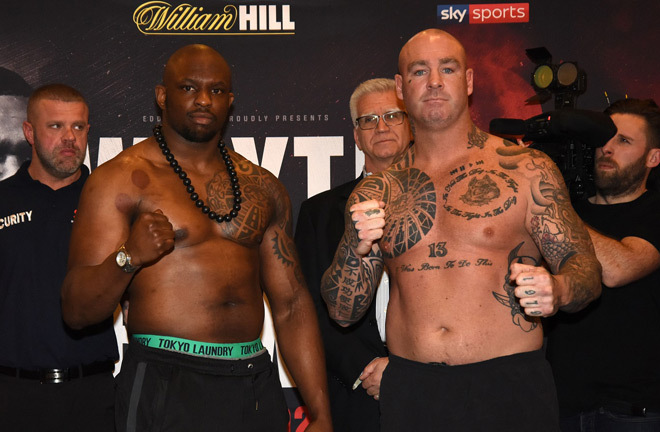 “It means a lot to headline The O2” said Whyte, who scaled 18st 2lbs 2oz, nine pounds lighter than the challenger. “Topping the bills as a star is what I’ve been working for. Nothing good comes easy. Boxing is a hard sport to make a living from and it gets even harder to stay at the top when you get there. I am well aware of that, but I’m a tough man and I don’t give up easily. I’ve done it the hard way, built myself up and battled to get to where I am through a lot of setbacks. My rage and anger got me to a certain point in the sport and then I had the accident. I’m a realist and an analyst, I took myself away and I realised I had to become more professional and get good people around me and I made the transition, that’s what is here now and there’s still more to come, but I am getting there. You have to be yourself, if you are and you believe in yourself and what you say, you aren’t going to do wrong things, you just have to be honest and real, that’s all a man can do. Check out our preview and prediction for tomorrow night’s clash between Dillian Whyte and Lucas Brown right here.